KICKICO is a fundraising platform for various projects including the business sphere, which allows you to launch a variety of fundraising campaigns such as: ICO, preICO, crowdfunding and crowdinvesting campaigns. Eloplay will have own project page with tokensale main round. The campaign starts on the October 16th, 2017. KickICO offerss our project an additional crowdfunding stage. First of all this is convenient for users. 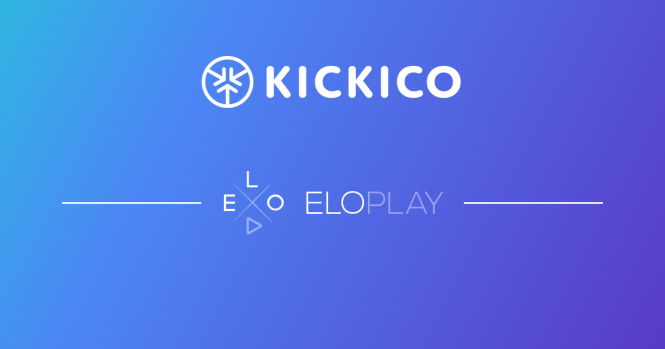 Both KickICO and Eloplay teams agreed to low soft cap to 3000 ETH. This amount will be considered a success on KickICO platform. Generally, this step demonstrates development of Eloplay project. We already have partnerships with Adex.network, Forklog.consulting, Bancor protocol and Wings.ai. We’re happy that more and more projects are interested to collaborate with Eloplay.